August 11, 2017 By Allyson 12 Comments This post may contain affiliate links. Read my disclosure policy. 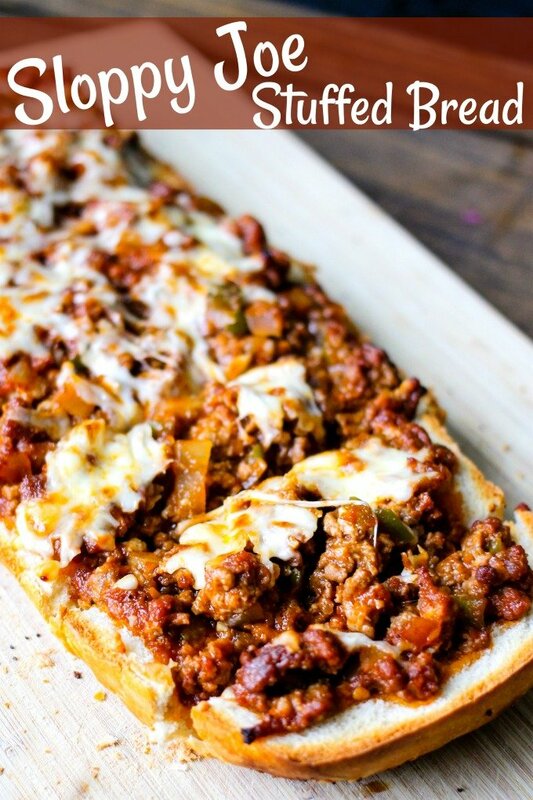 Sloppy Joe Stuffed Bread takes all the effort out of making individual sloppy joes! It’s easy, delicious, and a meal your whole family will enjoy! All of my friends call me the queen of stuffed breads, so of course I had to put a spin on the traditional sloppy joe, and make a sloppy joe stuffed bread! 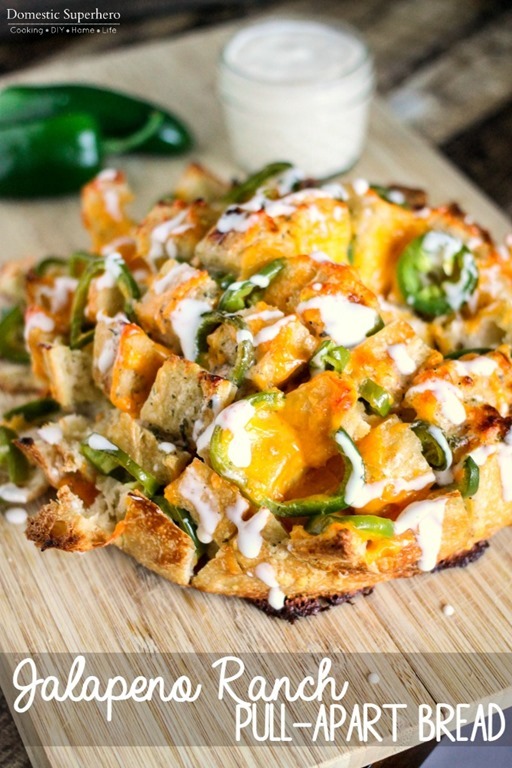 It takes less than 30 minutes to whip up, and it’s majorly delicious! 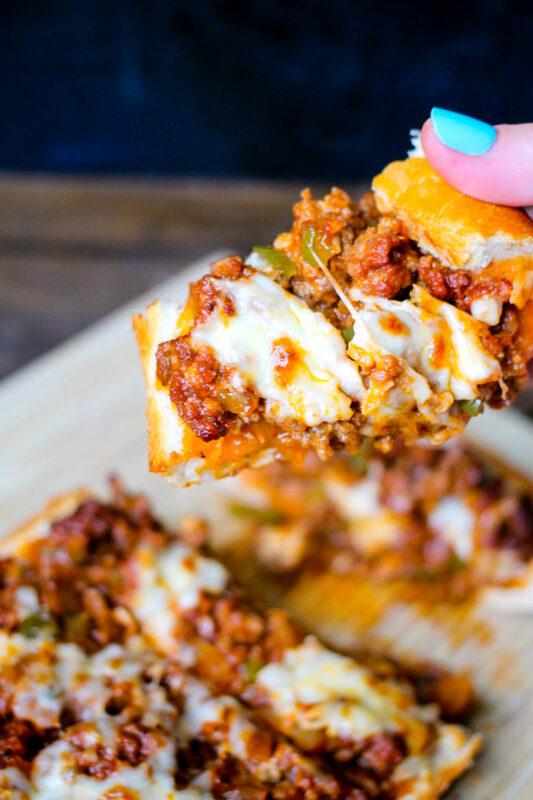 If you like good old Sloppy Joes, then you are going to LOVE this sloppy joe stuffed bread! Serve this with the ultimate comfort food- Instant Pot Loaded Mashed Potatoes and everyone will be satisfied! There is no pre-mixed sloppy joe business in this recipe either; it’s homemade, easy, and delicious. You only need a handful of ingredients to make the sloppy joe sauce, so don’t waste your money and sodium intake on the canned stuff! Once you get your sauce whipped up, you mix it with your cooked ground beef (I recommend using a HIGH sided skillet) and that’s pretty much all it takes! Load it up on your sliced french bread, top with some cheese, and then bake to bubbly perfect – voila, dinner is served! I have another variation on the typical sloppy joe on Domestic Superhero already. My Sloppy Joe sliders have been very popular and are really fun served as sliders. 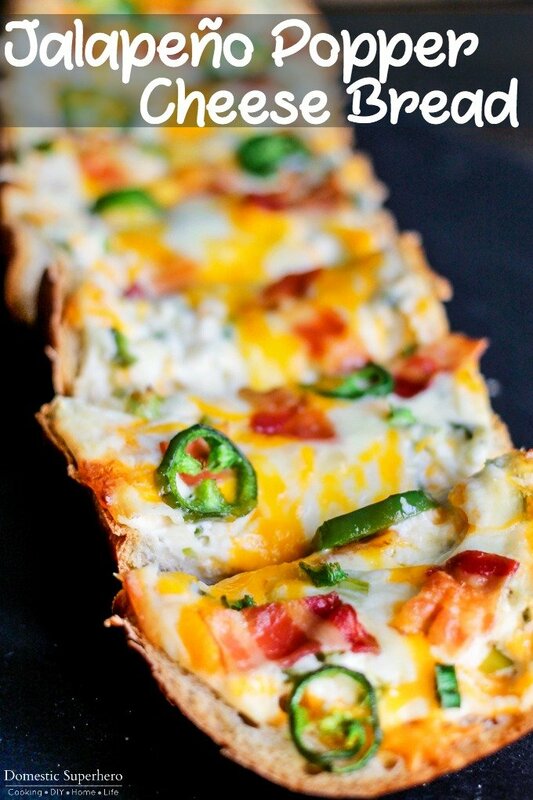 I know everyone is going to love this stuffed bread just as much or more! I love how convenient it is, and how you can just plop everyone onto the bread and devour it! My sloppy joe recipe calls for green peppers, but if you don’t like them go ahead and leave them out – no big deal! 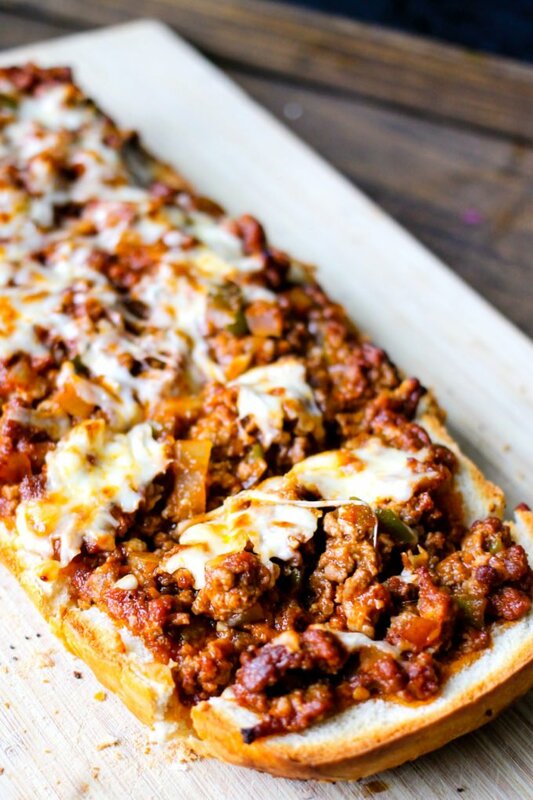 Sloppy Joe Stuffed Bread takes all the effort out of making individual sloppy joes! It's easy, delicious, and a meal your whole family will enjoy! In a skillet over medium high heat, add vegetable oil and beef. Let sit for 2 minutes to develop a crust on the beef, then break apart with spatula. Cook for 3-4 minutes, or until halfway cooked through. Add onions and peppers to the skillet and sauté for 4-5 more minutes, or until beef is cooked through and vegetables are tender. Drain off any extra liquid/fat. Add Worcestershire sauce, ketchup, brown sugar, salt, and pepper to skillet and mix well to combine with ground beef. Bring to a quick boil, then reduce heat and simmer, covered, for about 5 minutes; stirring occasionally. remove from heat and add half the mozzarella cheese; stir until melted through. Place half of your loaf of bread on a baking sheet. Take out some of the bread from the center of the loaf making a SMALL indentation (see video). Spoon sloppy joe mixture on top of bread, spreading evenly. Add remaining 1/2 cup mozzarella cheese over the top evenly. Cover loosely with foil, place into oven. Bake covered for 10 minutes, remove foil. Turn oven to broil, allow to broil 2-3 minutes or until cheese is bubbling and lightly browned. Watch carefully as it could burn quickly. Remove from oven, let sit 5 minutes. Using a large knife, cut into slices and serve immediately. Best to make this and serve right away as the longer the bread sits, the soggier the bread will get. I recommend serving right away. I love looking at your blog when it’s time for me to start figuring out what I’m making for dinner. 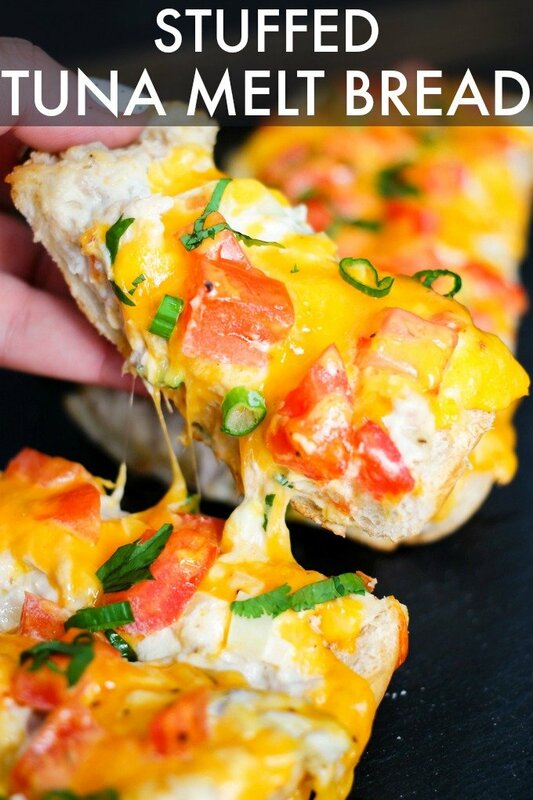 Not only do I scroll upon this deliciousness, but I have absolutely everything to make it!! Yay!! Thanks, Jen! 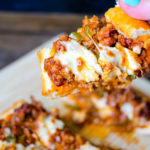 This stuffed Sloppy Joe Bread will not disappoint! Queen of stuffed breads, I love it! Such a yummy idea! They are just TOO good! Give me ALL the carbs! Your photos are making me hungry! I want to dig right in! Such a great idea. I need to make this for my family! This looks SO good! And so very addicting (in such a great way)! My family would love this, and it’s perfect for busy days! Oh my! You just made sloppy joes and bread better! i don’t love sloppy Joes but i think it’s because no one ever offered it to me with CHEESE. Yum, this looks so good!